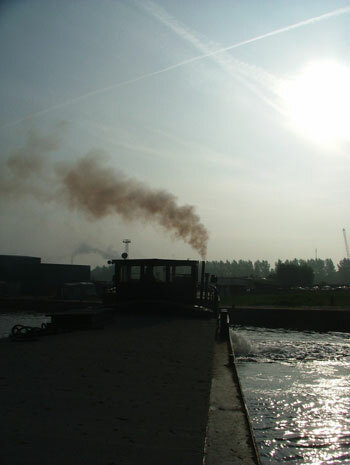 20th May 2006 – Arriving at the yard, I quickly discovered no repairs were made. This means the boat has to stay at least one week longer on the slipway. At least, I have electricity, so I started hovering the bilges. 16th May 2006 – The yard has so many lights, the barge in front of me has a very nice search light in his mast, so does the one next to me. This made it impossible for me to sleep. Another hard day for me, so seemed later. Early in the morning, I made a walk around my boat. The skipper from the Remi showed some weak places on the hull. It worried me a bit. 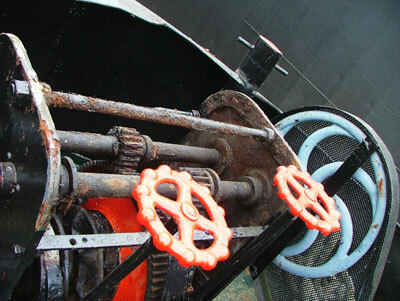 At 9 o’clock, I started cleaning the anchor winch. At the end of the day, two plates at the bottom and four on the sides needed to be replaced. Looks like a small job, but expensive enough. 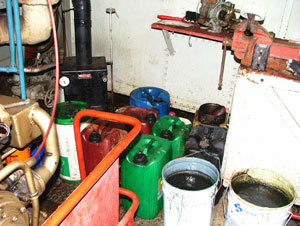 The quality of the picture is not good, due to the smoke of the broken exhaust of the generator in the cargo hold. At 8 o’clock in the morning, we started the engine without trouble, something that didn’t work the day before. The ship had to turn in the Canal before she could set sail to the yard. Since she has no cargo, her propeller was halve above the water. This made it very hard to navigate her. 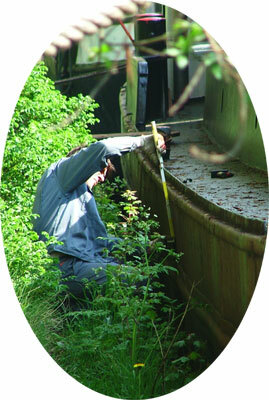 When the previous ship was launched and some of the slipway repaired, our ship was allowed to go to the slip. While trying to start the main engine we discovered the batteries were flat again. So we drove to a ship, asking for their power charger. In no time the engine started and the Watergeus went on the slip. 15 minutes later, the boat was dry-docked. 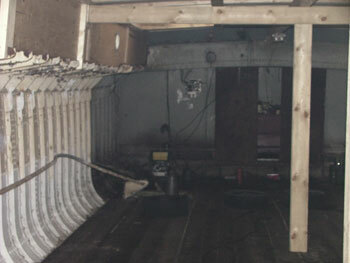 The ship was cleaned in the afternoon and I returned to the boat in the late evening to take some pictures of her hull. 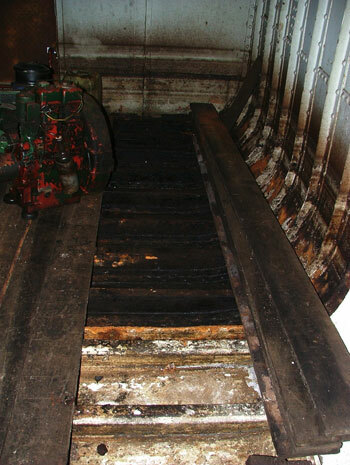 14th May 2006 – Today, I continued where I stopped last week, cleaning the bilges. We also tried to start the engine, but with no success. 5th & 6th May 2006 – Two days of hard work, in which I decided to put some paint on the hull of my boat, so she didn’t look that rusty anymore. 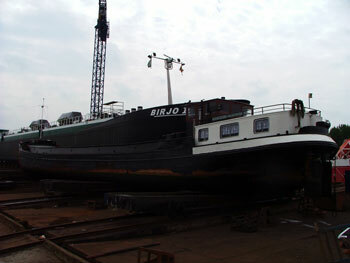 She used to be sand blasted four years ago and had been put back in the water without any coat of paint. 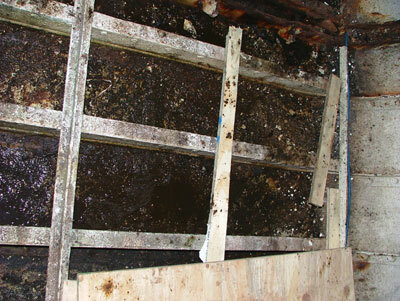 I also cleaned some of the bilges of the cargo hold. They were still partly filled with oil and old leaves. 4th May 2006 – Today, two employees of the Belgian Government came to measure my boat, so I could register it again as a Belgian boat. The whole operation took three hours. It was a kind of a joke, they re measured the boat three times and had three different results. 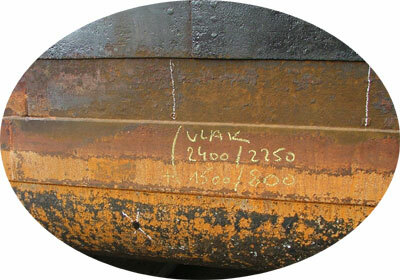 After they measured the boat, the new BR-number was bashed into the hull on four locations, twice on the side, one on the bow and one on the back.